We have great 2013 Nissan Murano research and reviews below so you can start learning about the new Murano. There is a reason Reliable Nissan is the stellar Nissan dealership in Albuquerque. We provide you with Murano reviews by the best writers in Albuquerque. 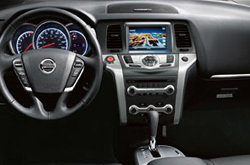 Nissan Murano information you can depend on to make informed decisions is right here - each article is bundled with [helpful information and specs - all at your fingertips. Reliable Nissan is always available 7 days a week to answer questions you have. Do not hesitate to call us to speak with our Murano specialists. By examining the 2013 Nissan Murano next to the 2013 Ford Edge, Honda Pilot and the Toyota Venza, and you can find that the Murano outshines those autos in loads zones. Browse the hightlights below. 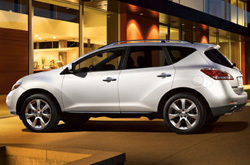 To find superb Nissan repair techs and reliable factory-made parts, Albuquerque Murano owners need not go far. Go to a locale close to your place of residency, and benefit from the sense of bliss that comes with receiving valuable repairs and a long warranty on every service. Turn to the auto repair aces in Albuquerque, Reliable Nissan, when your Nissans takes a whipping. We do a slew of services, from easy fuel filter replacement and routine inspections to more involved jobs such as electronics repair. Make a commendable choice when choosing a shop to have your Nissan Murano repaired, and keep in mind: At Reliable Nissan you can always get professional service and inexpensive prices on Albuquerque car repair. See the link below? That's your key to savings! Proceed and click to see the latest coupon specials.